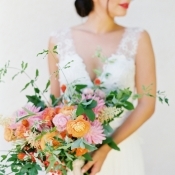 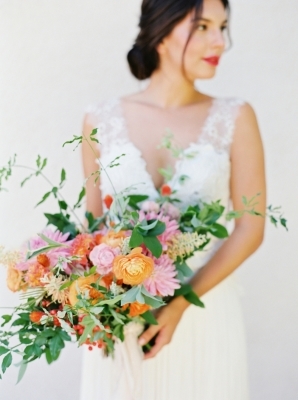 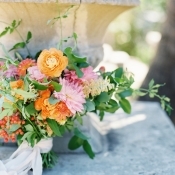 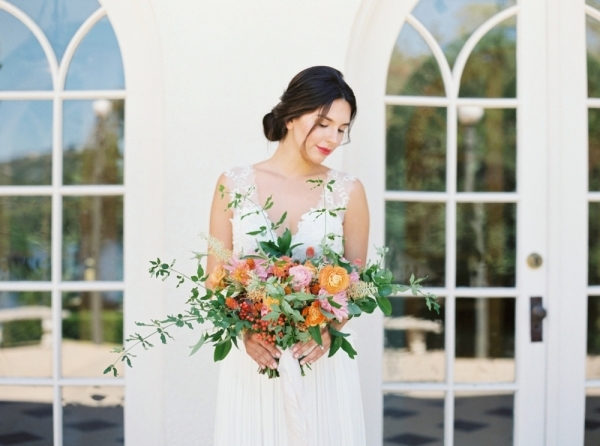 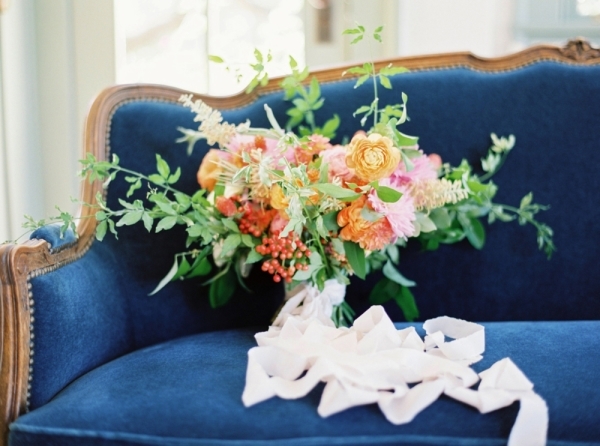 Austin’s gorgeous Laguna Gloria set the scene for a vibrant and colorful bridal inspiration shoot designed by Lindsey Brunk. 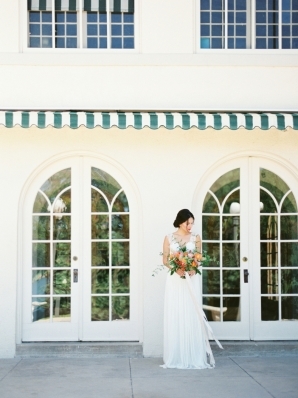 The Italian-style villa, with its black and white checkered floors, dramatic doors and windows, and expansive grounds is an elegant location for weddings or portraits. 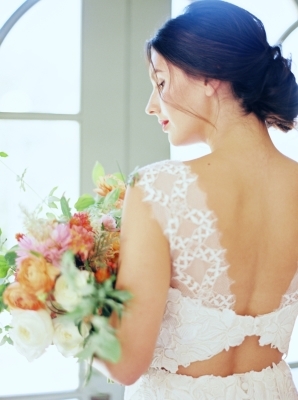 Lindsey chose to showcase a gown from Romanian designer Divine Atelier, and the darling mix of lace and chiffon paired with a slightly daring back cutout is unexpected and unique! 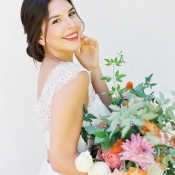 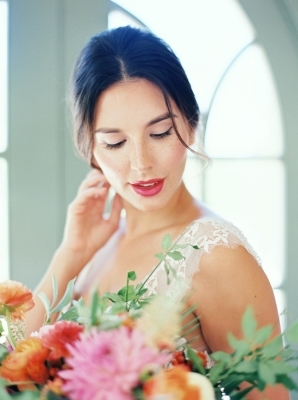 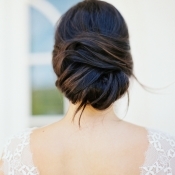 Makenzi Laine chose to accent Mel’s natural beauty with soft makeup, vivid lips, and a chic updo. 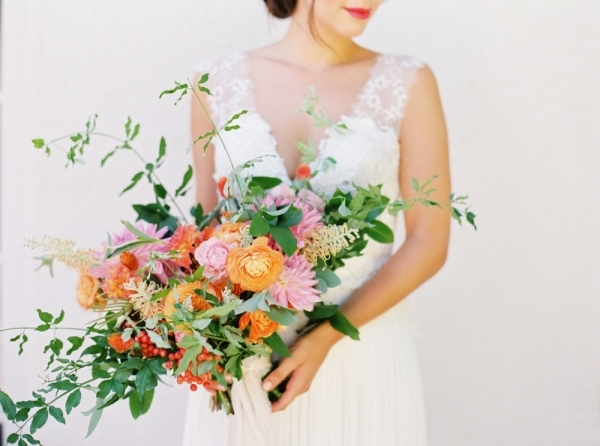 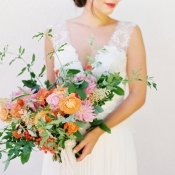 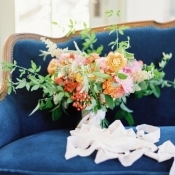 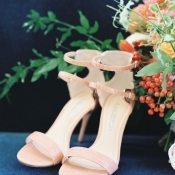 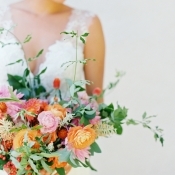 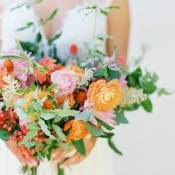 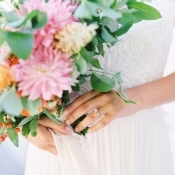 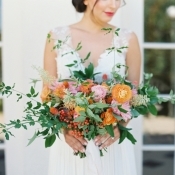 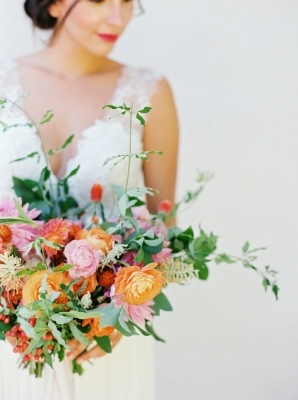 A punchy and playful bouquet from Without Wax, Katy completed the swoon-worthy bridal ensemble! 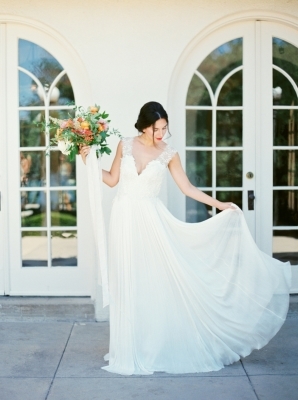 We are always head over heels for the images from Michelle Boyd Photography, and we know you will be too!